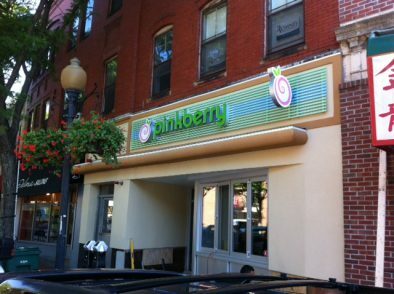 Come see my current art installation on the walls of the new Pinkberry store in Davis Square, Somerville MA! Last night we set up eleven canvas prints for display and sale, they'll be up through the end of 2014. If you're not in the area, you can purchase prints on my site, they're all on sale.